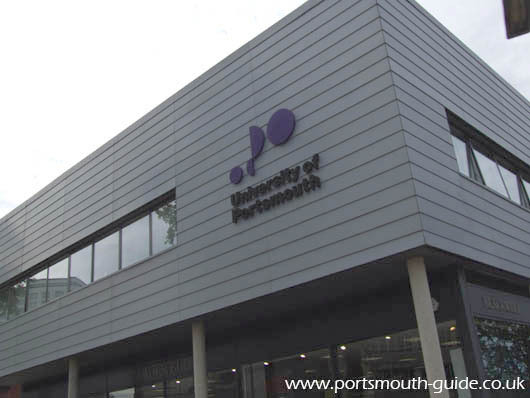 The University of Portsmouth is an integral part of Portsmouth and is home to tens of thousands of students studying across it's wide range of subjects. The University is mainly based within the Guildhall campus with a mainly accommodation site at Langstone. 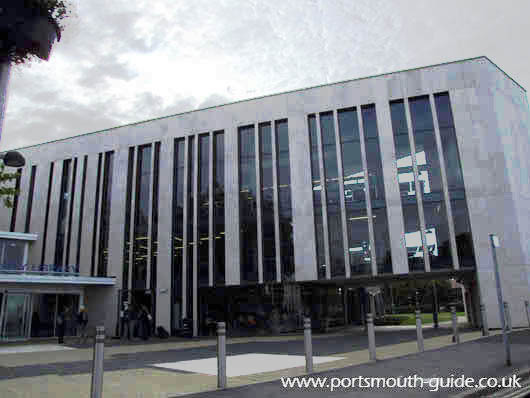 The Guildhall campus spreads to near Old Portsmouth. 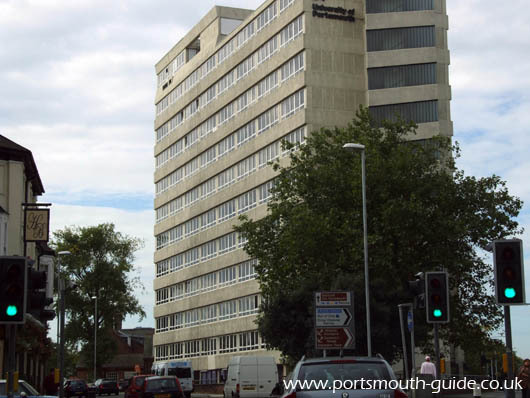 The University buildings near Old Portsmouth are King Charles, Portsmouth Management Centre King's Terrace, TV Centre, Ravelin House, Alexandra House, Town Mount , Frewen Library, Cambridge and Gun House. These are not really in Old Portsmouth but have been included in his section as they are close to it. Other University buildings part of the Guildhall campus are Portland Building, Angelsea Building, Burnaby Terrace, Richmond Building, Buckingham Building, Mercantile House, Park Building and St Michaels Building, for a full list please refer to the University’s web site. The picture above is of University House which is the home of the University and houses many of its support staff, no teaching takes place in this building. Below is Mercantile House, located only a very short walk down the road from University House and this houses many computer labs. The picture above is of the corner of the Students Union, which is located just over the road from Mercantile House. As well as housing the Union it also houses Blackwell's bookshop and a few other businesses. The picture below is of the new section of the Frewen Library located next to the Student Union. There is also a page about the Old Milton Site . This is no longer part of the University but may of interest with regards to the sites history. 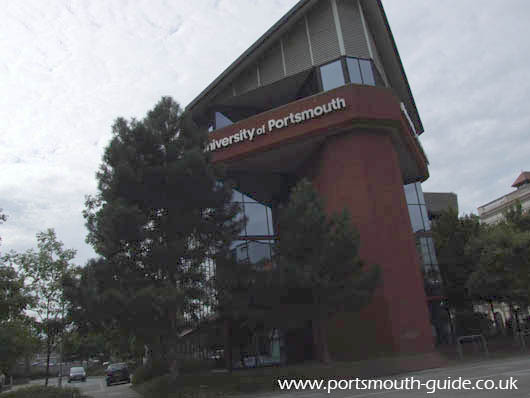 Portsmouth University has its own web site at http://www.port.ac.uk.